TS EAMCET 2019 Application Form can be filled till 28th April 2019. It will be organized by the Jawaharlal Nehru Technological University (JNTU), Hyderabad. It is a state level entrance exam which is conducted for providing admission in the undergraduate level courses of engineering, agriculture, architecture, etc. 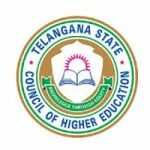 Various colleges & institutions of Telanagana consider the TS EAMCET scores for providing admissions. Here, we have updated the complete guidance about How to Fill TS EAMCET Application Form 2019. The aspirants can apply for the TS EAMCET 2019 through online mode only. No offline mode will be entertained for submitting the application form. TS EAMCET Application Form 2019 has been released from 6th March 2019. The last date to submit the application will be 28th April 2019 with late fee. Don’t forget to take printout of the application for further use. TS online centre receipt (if payment is done through TS online centre). Birth Certificate/ SSC or Equivalent Certificate. Local candidate certificate issued by MRO or Competent Authority. Income certificate issued by MRO /Competent Authority. Note: All the students are advised to use Internet Explorer Browser version 6.0 and above or Mozilla Firefox 3.6 and above for filling the application form. Click on “Apply Online” link available on the home page. Now, click on “Step -1 Pay Registration Fee” link. “Registration Fee Payment Procedure” web page will display on the screen. Fill all the details given on the page. Now, select the registration fee payment mode. The candidates can pay the fee either through credit/debit card/net banking. Hall Ticket number of the Qualifying Examination Eg:- Intermediate Public Examination, CBSE, ICSE, RGUKT etc. 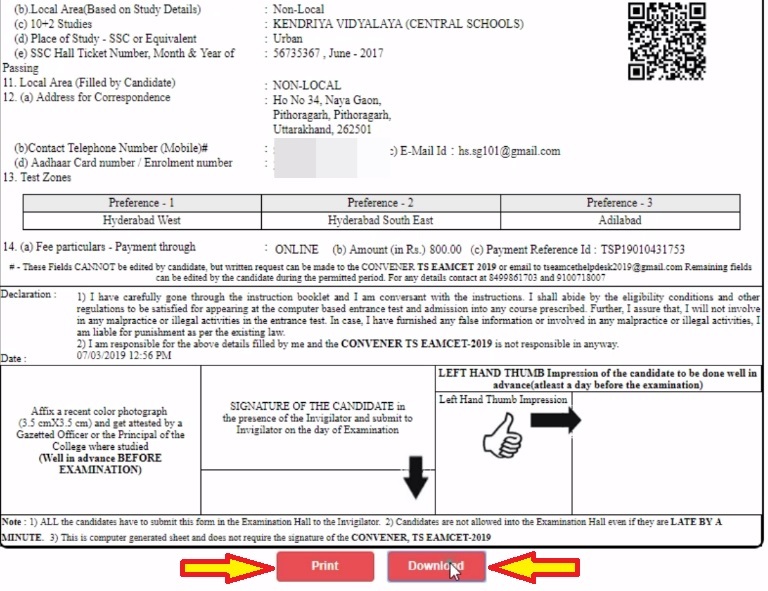 Now, pay the requisite fee against the application form and don’t forget to take the receipt for registration fee containing Transaction Id. After receiving the valid transaction Id, hit the “Click here if paid through TS/Online/AP Online / e-Seva/ Mee Seva” button. TSOnline/APOnline/ e-Seva / Mee-Seva Transaction Id. SSC or 10th Class Hall Ticket No. At last, click on “Proceed to Online Application Form Filling” button for filling the details. Note: Don’t click on back button or refresh or don’t close the browser window suddenly during the payment process. Hit the button “Click here to Pay Online using your Credit/Debit Card”. Now you are redirected to the Payment Gateway webpage, click on “Proceed to Pay the Fee Through Payment Gateway Using Credit/Debit Card”. In the next page, Payment Reference Number is generated. Note down the generated payment reference number for future correspondence. Choose the card type and proceed towards the fee payment process. The payment can be done via any bank credit/debit card but the type of card must be VISA or MasterCard or Maestro. After providing all the mandatory details in the specified space, click on “Make Payment” button. Now, you are taken to the Bank Payment Gateway webpage, enter all the card details required for the completion of payment process and finally click on “Pay” button. After the successful completion of payment, note down the Transaction Id and Reference Id will be displayed in the “Payment Status” webpage. Now, proceed towards the online filling of application form by clicking on “Proceed to Fill Application” button. Note: All the aspirants are advised to preserve the Transaction Id and Reference Id safely for further use. Stream Details: Three options available, one for Agriculture and Medical (AM), second for Engineering, Agriculture and Medical (E & AM) and third for Engineering (E). Choose the stream you are looking for. Note: All the candidates are suggested to make sure their eligibility before applying. The intermediate candidates applying for both E & AM streams have to enter the Additional Subjects / General Bridge Course (AM Stream only) Hall Ticket number in the “Bridge Course (BIE) Hall Ticket No.” field. Qualifying Examination Details: It has the following options: Intermediate (Regular), Intermediate (Vocational), RGUKT, CBSE, ISC, Diploma, NIOS, TSOSS/APOSS and Others. The qualifying examination details you have already entered during the fee payment process will get frozen here in this field. If want to apply for both stream (E & AM), then must enter Bridge course hall ticket number. Select the medium of instruction in qualifying exam and medium of language to take EAMCET–2019 test. Also, select the college type where you have studied intermediate/12th. The file of photograph should be in .jpg format. The size of the file should be less than 30 KB. The file of signature should be in .jpg format. The size of the file should be less than 15 KB. Candidate Details: The candidates who have passed their qualifying examination as intermediate (regular or vocational) are not required to enter the Candidate’s Name, Mother’s Name, Father’s Name and Gender, as these fields are automatically updated from the existing intermediate database. The fields other than these four fields are required to be filled by the candidate. This facility is only for the candidates who have passed/appeared qualifying examination in the year 2015, 2016, 2017, 2018 & 2019. The candidates passed qualifying examination other than the above mentioned years have to fill all the personal details including Candidate’s Name, Mother’s Name, Father’s Name, Gender, Date of Birth, Birth State, Birth District, Aadhaar Card Number/Enrollment Number, Non-Minority/Minority details. Category: Choose your category as per your caste certificate. Seeking Admission under Special Category: For special category candidates, the options available are: NCC, PH (VH/HI/OH), CAP and Sports. Regional Centre: Drop down box is provided for choosing the regional centre. Select the place from where you wish to take the test. Non Minority/Minority: If belong to the minority community, select the option relevant to that if not, then selects non-minority option. Annual Income of the Parent’s (in Rs. ): Choose the appropriate option of income as per your parental income. Urdu Translation required for EAMCET Exam (Only for URDU medium candidates): Only the candidates who have chosen Hyderabad as their test centre can avail the facility of URDU TRANSLATOR. Click on ‘Yes’ option if requires Urdu Translation. Place of Study: Urban and Rural option is available for choosing the place of study. Choose the appropriate option for both SSC (10th) and Intermediate (12th) class. Address for Correspondence: The address details required are House No. or C/o., Village / Street / Locality, Mandal / Town / City, District, State, Pin Code, Contact Telephone Number (Mobile), Telephone Number (Landline) and Email. Study Details: Provide your study details with respect to district. Enter Class 1 to 12 district details from where the candidate has completed their studies. Verify the Entered Details: Verify all the entered details thoroughly and go to the declaration page available at the bottom of the application form. Tick Mark the “I accept the Terms and Conditions” check box and click the “Next” button to proceed further. If any of the field remains incomplete, a message box will appear that indicate the missing of some information. If all the details are entered properly then, “Click OK to Submit the Application Form. Click Cancel to Verify and Edit your Application Form” message will be displayed on the screen. Press Submit button and proceed to print the Filled in Online Application Form. Click on “Download/Print Filled In Application Form” button for downloading the submitted application form. Take the printouts of the filled in application form and keep it safe for future use. Also, note down your registration number. The candidates can also take the direct printout of the filled in application form by clicking on “Print your Filled In Application Form” link available on the home page of the website. Click on the link named “Print Your Filled in Application Form”. A log in window will open. Enter your Registration Number and Qualifying Exam Hall Ticket Number. Now candidates can take a printout of it. If the candidate commits any mistake in the filled in application form of TS EAMCET 2019 then, there is a one time opportunity provided by the authority to rectify the mistakes. By clicking on “Request for Corrections to Online Application Form (only available during a stipulated period)”, the mistakes will be corrected. The correction window will be available only on the home page of the screen. In case of any query or doubt regarding How to Fill TS EAMCET 2019 Application Form, you may ask us by commenting below. I have paid fee but not filled the application how to do it ?? Sir, is there an EAMCET exam center in the U.A.E? Hi sir, Iam qualified in TSeamcet. so, counciling starts from 25th MAY I have recived rank card. I didnot got any message, what is the next step to enter the counciling. Is there any centre at Chandigarh or near to it for appearing in TS EMCET exam . It is ok no problem with that. sir i lost my login id and otp which was sent to registered number.what shoul i do to get that information again? Sir,my cast is ST shall i fill minority or non minority in application form? Yes, you can fill the form with late fee till 8th May 2017. Check TS EAMCET 2017 for complete details. i am not from telangana,i am born in UP but my father works in air force hakimpet telangana ,how can i fill the form ,and what are the additional requirements. please reply as fast as possible. I am from Andhra Pradesh applying for TS Eamcet. While applying Birth district column is not displaying the district names. Hence requested your help. Check the details you filled & then submit. If any problem occur contact to the officials. I filled the application form and submitted. However its giving error after submit and not showing filled in application. Received the Registration number SMS. Tried to login with registration number and Hall ticket number to print the form. But receiving the error. Request help. i pay the fee through debit card. i forgot reference id to fill the application form, what i do. I want to know whether BiPC student can get admission in Pharma D.
You can check TS EAMCET 2017 Eligibility. Sir Iam from maharashtra my mhcet exam is on 11 may and Ts eamcet exam is on 12 may how I give both exam pls any idea and can I fill Ts eamcet form? Only AP & TS candidate are eligible for TS EAMCET exam. Hello.In my JEE MAINS application form i have entered my caste as OC ( General category) .But actually my category is O-BC ( BC-D ) .Now i had caste certificate also , then what should i enter in TS Eamcet application form …..Hello.In my JEE MAINS application form i have entered my caste as OC ( General category) .But actually my category is O-BC ( BC-D ) .Now i had caste certificate also , then what should i enter in TS Eamcet application form …..
Can i change my caste as O-BC in JEE ADVANCED application if i qualify JEE mains ? Hello.In my JEE MAINS application form i have entered my caste as OC ( General category) .But actually my category is O-BC ( BC-D ) .Now i had caste certificate also , then what should i enter in TS Eamcet application form …..
TS Eamcet ranking will be given based on caste category or only on marks? TS Eamcet ranking will be given based on caste category or only based on marks? printed application form is enough for writing exam..
there will be no hall ticket?? I am from other state and studied in Hyderabad from 9th class till 12th. Am I eligible to take TSEmcet for 2016. I am from Karnataka and studied in Hyderabad from 9th class till 12th. The candidates will get the complete information about TS EAMCET 2016 application form from this link. you have to upload thumb impression. NRI candidate / Studying in abroad also follow the same procedure to Apply / Fill the application form online EAMCET2016.. Could you plz. guide me?.. yes, you have to follow the same procedure, for more details read the article carefully. you can scan your thumb impression in the specified format and then upload it in the official site.